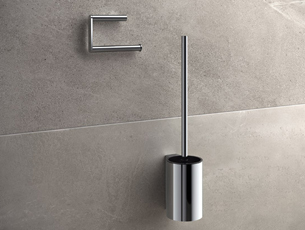 System 900 combines puristic design with a high degree of functionality and a unique product depth. System 900 was designed by NOA. The Aachener design firm designs outstanding products and creates fascinating design experiences. With System 900, well-being can be designed. High-quality features invite patients to feel good and provides a high level of comfort and convenience even in a hospital or care home. 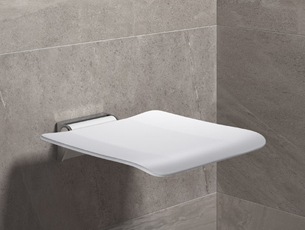 The new accessible sanitary system always provides the optimum solution. It has been developed by accessible design experts and is perfectly matched for use in the professional care sector. 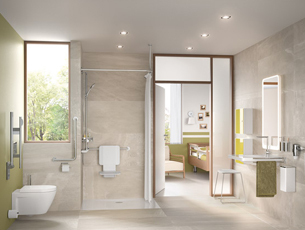 Whether in the standard patient bathroom of a hospital, in a premier bathroom of a private clinic, in the care home or in the exclusive retirement home – System 900 fulfils even the most demanding requirements. 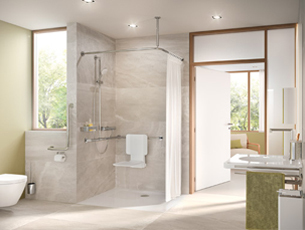 System 900 meets the needs of accessible, compliant bathrooms without having to make any design compromises. 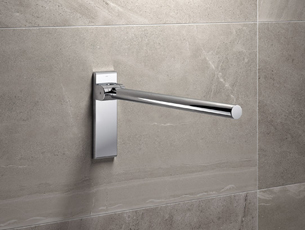 The products are well thought-through, down to the smallest detail – they have convincing functionality, lasting quality, clever installation technology and a hygienic design. Material diversity means design freedom: System 900 is optionally available made of satin stainless steel or in a high-gloss chrome version and can be combined with elements made of high-quality polyamide or satin finish glass.